Not long into our drive towards Albuquerque we realized our mistake in not having visited New Mexico sooner. This stunning state is indeed the land of enchantment with its diverse range of climates, environments, and cultures. A vast and largely unpopulated state, New Mexico boasts some of the most spectacular national parks. 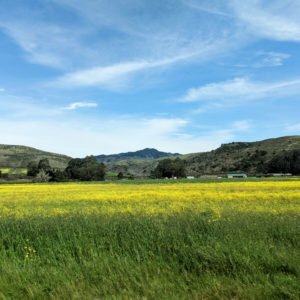 Visited by some friends vacationing from San Francisco, we set out to explore some of the area’s most notable parks. Here are the four prominent National Monuments behind our unforgettable New Mexican experience. 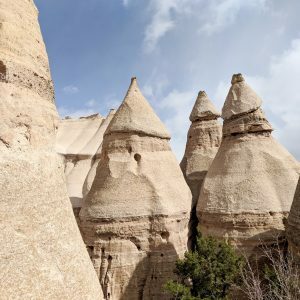 In Kasha-Katuwe you’ll observe cone-shaped hoodoos, also called tent rocks. These spires jut up from a drainage basin. You’ll find some fantastic hiking through the slot canyon here. Located on the Pajarito Plateau in north-central New Mexico, they’re about an hour and a half drive from either Albuquerque or Santa Fe. They’re also just one hour away from Bandelier, making a park-packed day a possibility for those with limited time. 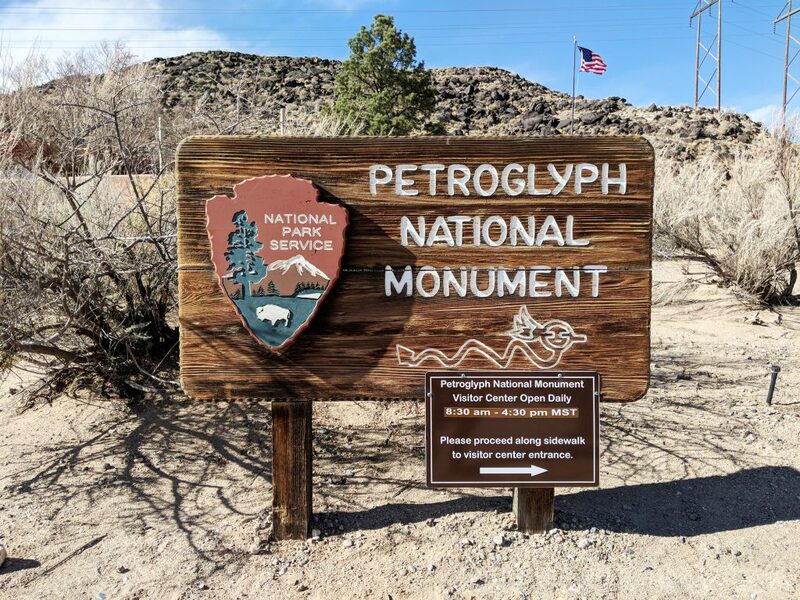 The national monument is easily accessible via the interstate and state highways, but ensure your GPS doesn’t take you through tribal lands that are inaccessible! This is a day-use park only, and entry to the monument is only permitted from 8:00 AM to 4:00 PM. If you’re visiting in the summer months, beware that limited parking can force metered entry into the park. 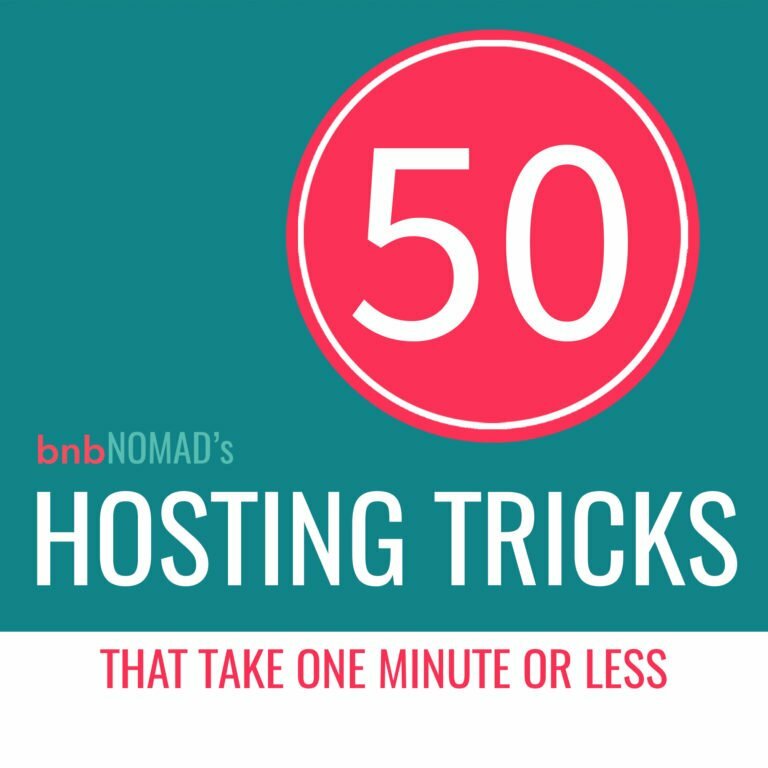 So make sure you arrive early to avoid waiting in a line. 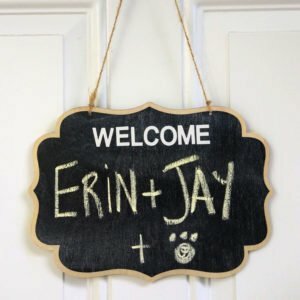 Odin also had to sit this one out—no dogs allowed! Ancient volcanic eruptions (we’re talking 6 to 7 million years ago) produced the tent rock formations, but the national monument itself is relatively new, established in 2001. Many of the cones feature boulders sitting on top that look as though they could topple at any moment, helping protect the structures from erosion. The name Kasha-Katuwe comes from the Pueblo language Keresan, meaning “white cliffs”. You can read more about these incredible structures and the surrounding area on the U.S. Bureau of Land Management’s monument page. 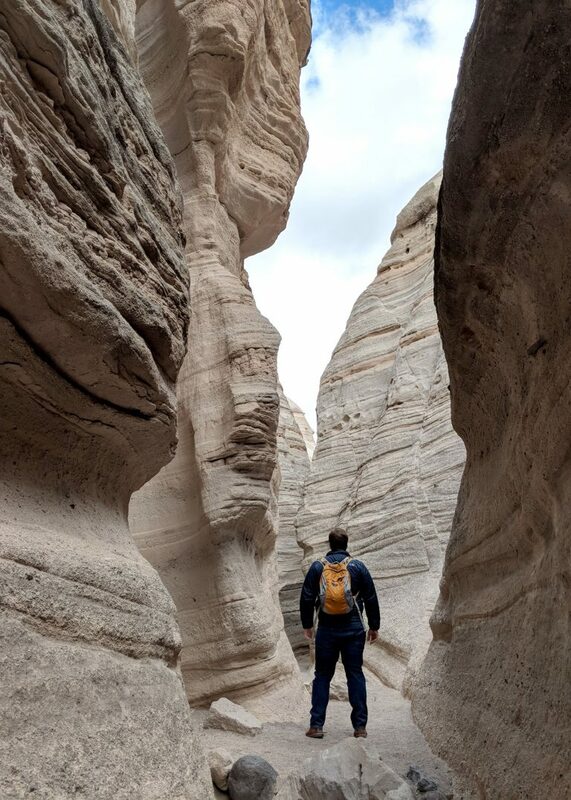 Of course the tent rocks themselves are the major attraction, but there is also some great slot canyon hiking in the park. One of the more notable trails through the rock formations will provide up-close views of the spires. Winding through the canyon, the trail leads up towards ridges with spectacular views of the surrounding areas and bird’s eye view looking down into the tent rock formations. But safety first! To experience the national monument in its entirety, ensure there’s no rain in the forecast. Flash flooding can make slot canyons dangerous. 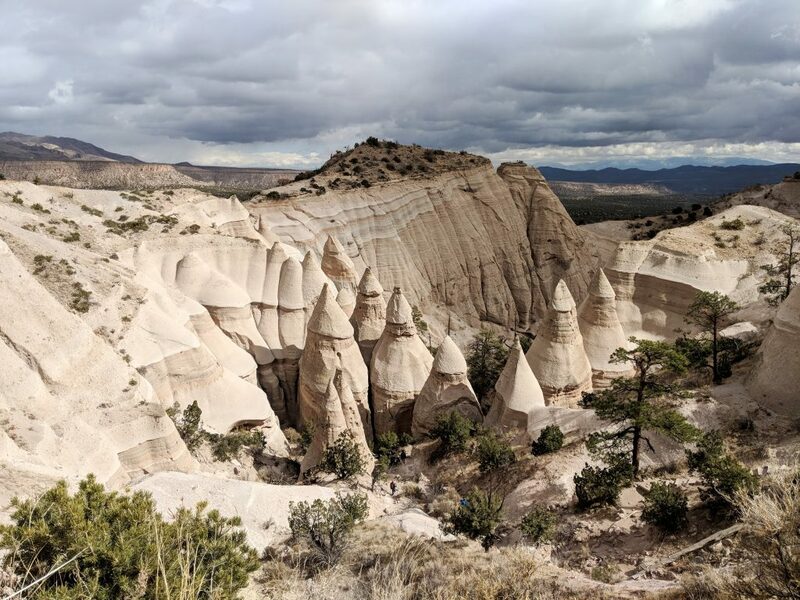 If rain is expected or you’re just looking for a less rigorous hike, a paved trail loop around the base of the monument provides more accessibility with excellent views of the spires. 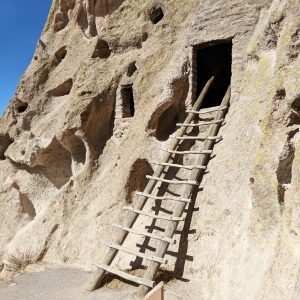 The cliff dwellings of Bandelier National Monument provide a glimpse into early North American civilization with its preserved masonry and cave rooms carved into the mountainside. 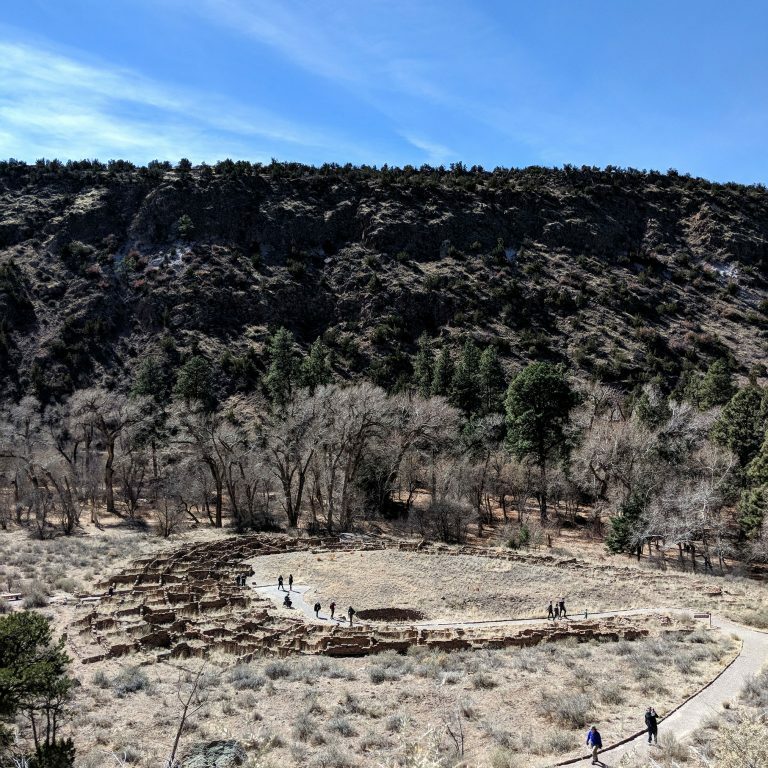 Located just an hour from Santa Fe off New Mexico Highway 4, this park is fairly easy to get to, with just a bit of winding mountain road to navigate to get to the Bandelier visitors center in the valley below. The park is well-equipped with picnic areas, a snack bar, and plenty of parking. 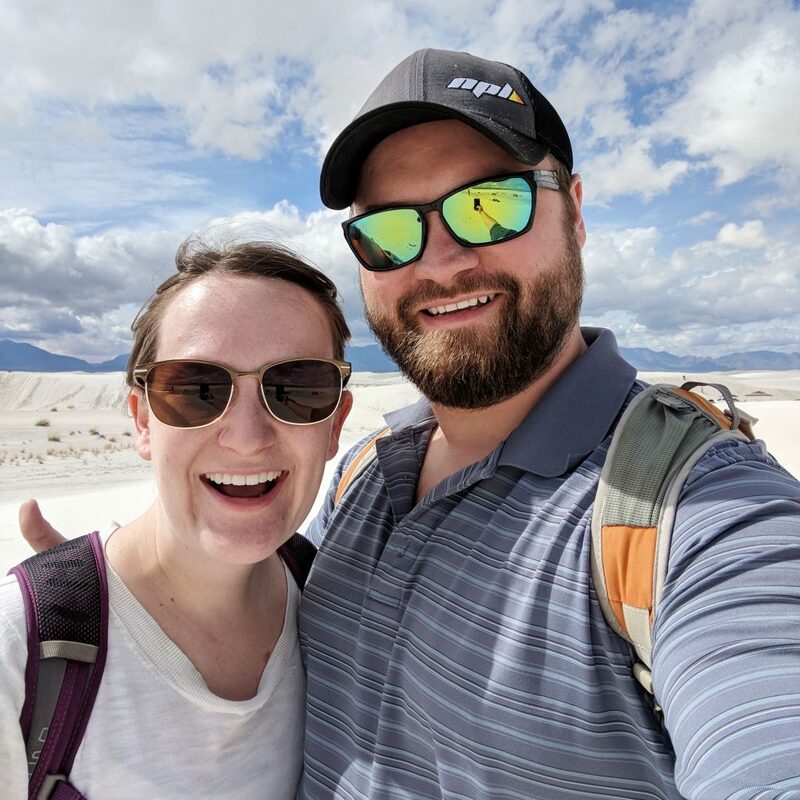 This is one of the most camper-friendly national parks we visited during our New Mexico stay, with family and group campgrounds as well as primitive backcountry campgrounds on the area’s surrounding trails. And while dogs aren’t permitted on the trails, they are allowed in the Juniper campground. 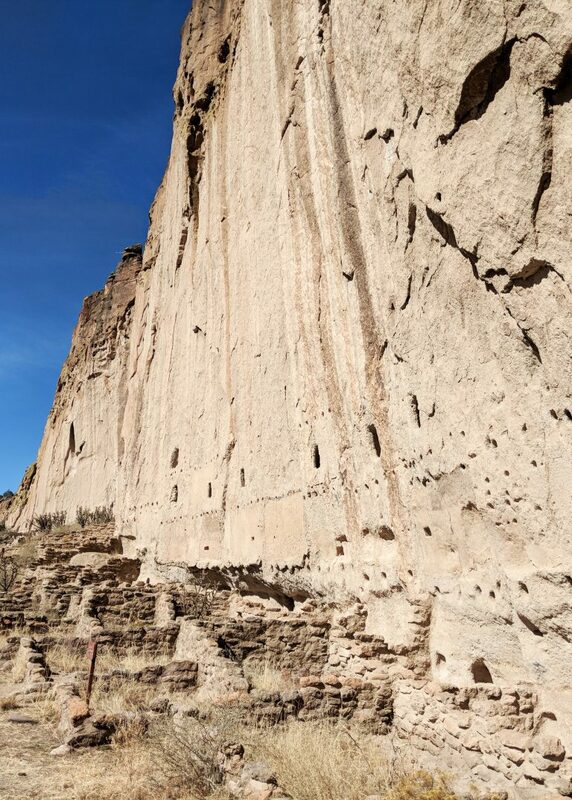 The cliff dwellings and structures of Bandelier are believed to have been created by Ancestral Puebloans, with building dates ranging between 1150 and 1550 AD. The volcanic rock in the area is soft and malleable, perfect for carving with early tools and crafting building materials. But after several hundreds of years and severe drought, the city was abandoned, leaving behind the ruins we have today. 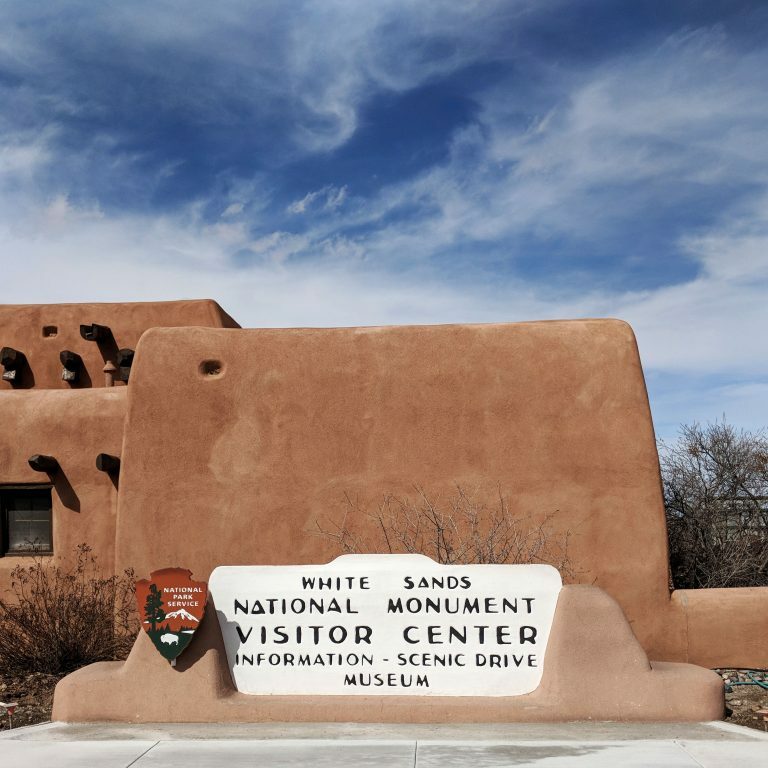 The area was designated a National Monument in early 1916 and named after Swiss-American anthropologist Adolph Bandelier who researched the people, culture, and remains nearby. 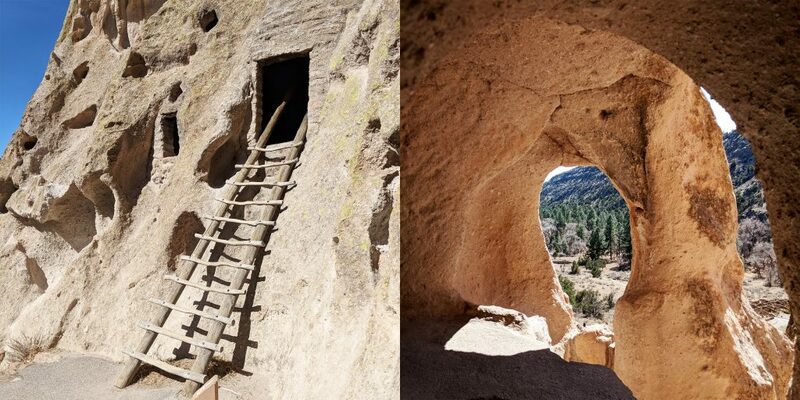 The National Park Service page has a wealth of information on Bandelier if you’d like to learn more. 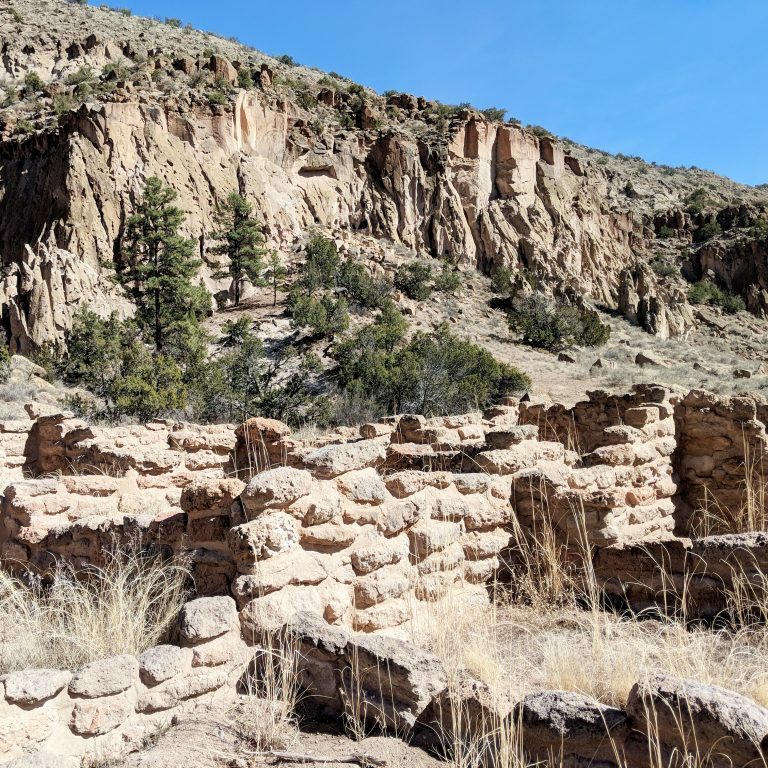 Bandelier’s cliff dwellings and archaeological sites are the major attraction here, but its proximity to Santa Fe, good campgrounds, and extensive backcountry trails make this an excellent park to pitch a tent in as well. 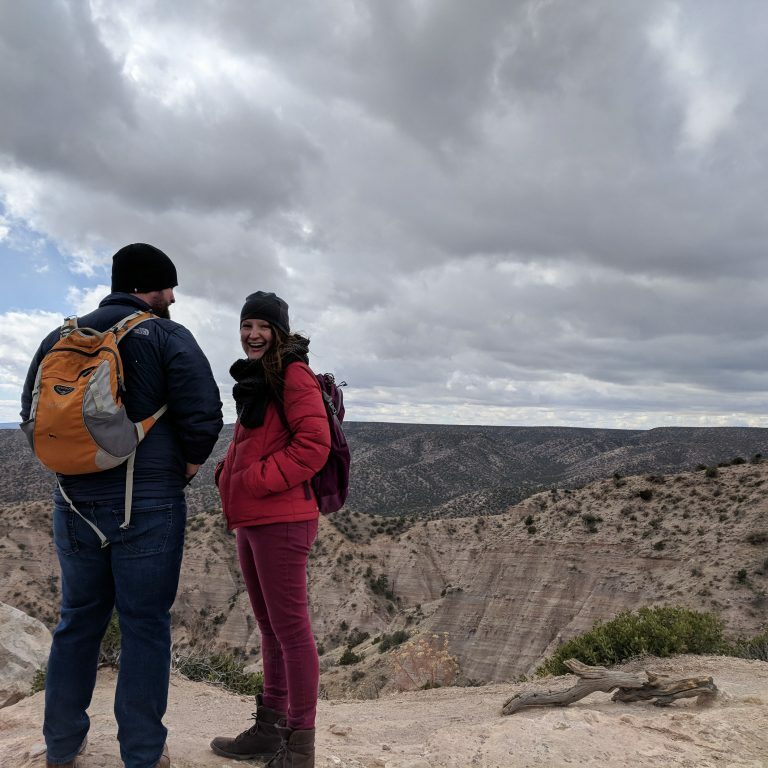 The most popular trail is the aptly named Main Loop, providing just over a mile hike through archaeological sites to see the cliff dwellings up close, but there are more rigorous short trails with a multitude of different landscapes to see. 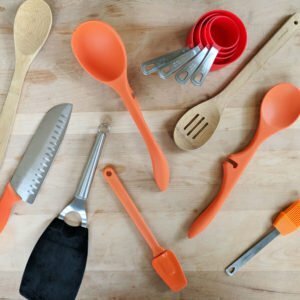 Feeling more adventurous? Grab a backpack and take to a backcountry trail! This place is otherworldly! 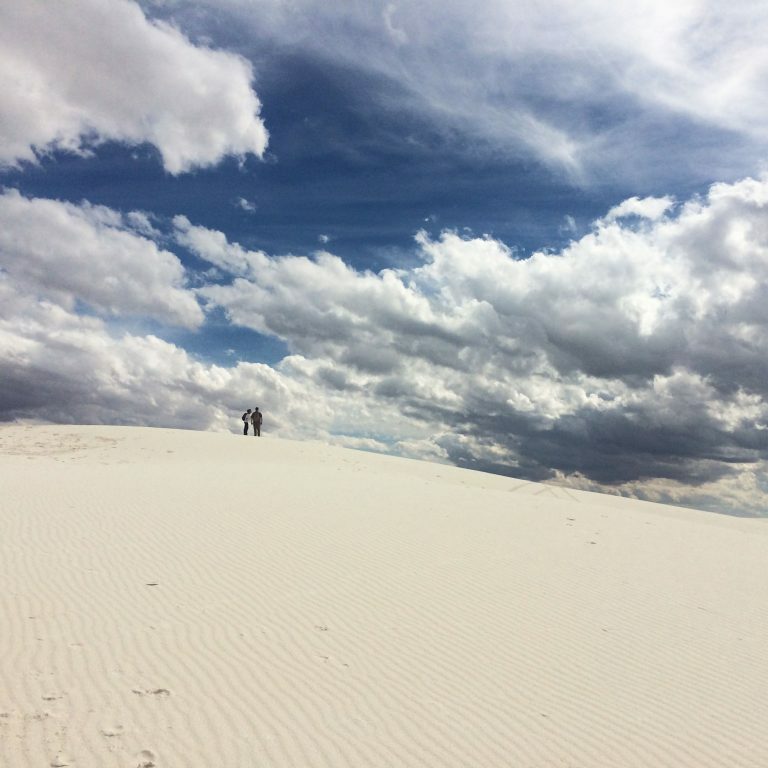 With 275 square miles of gypsum crystal dunes, White Sands National Monument boasts the largest gypsum dunefield on Earth. Located in Southern New Mexico just off of US 70 and west of Alamogordo, this was quite a drive from our Albuquerque home base. But the three and a half hours we spent getting to White Sands was undeniably worth it. Plus, the drive is beautiful to boot. 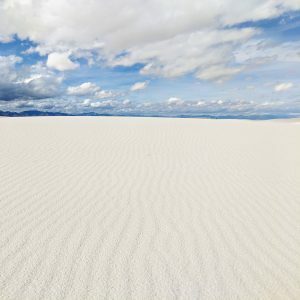 Unlike most national parks, White Sands is extremely accessible by car. Simply drive right off the highway, through the visitors center, and you’ll find yourself deep into the heart of the dunes. There are outhouses throughout the park but no water past the visitors center. Be sure to stock up! This is a super dog friendly park, and you’re encouraged to take your pup out on the dunes with you so long as they remain on leash. We also learned that primitive backcountry camping in the the dunes is available, so we’ve now added that to our bucket list. Such rolling sands are exceedingly uncommon, since gypsum is water-soluble and thus rarely seen as sand. After the last ice age, the nearby Lake Otero dried up leaving a large area of gypsum crystal formations. With time and erosion the crystals have broken into sand-size grains, and wind has helped produce the White Sands dunes where they’ve now stood for the past 10,000 years. 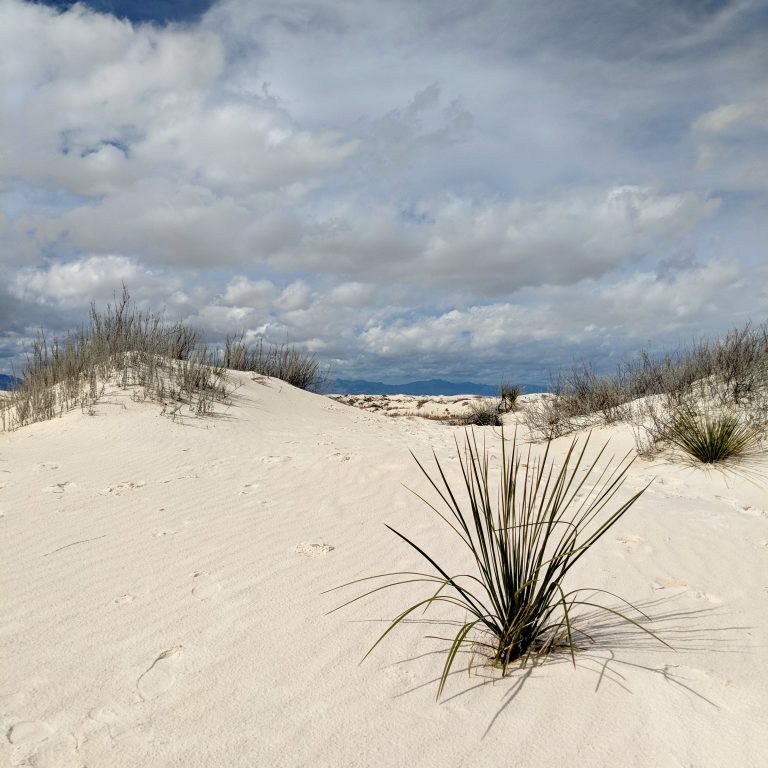 Several attempts were made to commercialize and mine the gypsum dunes until 1933 when Herbert Hoover established the area as White Sands National Monument. Simply being in and among the dunes is an experience unlike anything else. You’re free to climb, hike, and even sled anywhere you’d like—just don’t get lost. One dune looks just like the next! 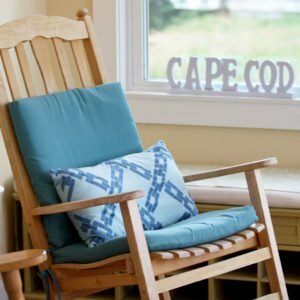 If you’re looking for a dedicated trail, there are several of varying difficulty from the strenuous 5-mile long Alkali Flat Trail across the dunes to a more leisurely and wheelchair-accessible boardwalk into the sands. Because you’re able to drive directly into the dunefield, the entire park has great accessibility. Before you head out, be sure to call ahead or check the online schedule for any drills being performed by the nearby White Sands Missile Range, which may shut down the highway. We’d also recommend bringing a plastic circular sled for a bit of dune sledding. This was hands down our favorite New Mexican park. In fact, it’s up there with Mount Rainier for one of our all-time favorite national parks. Definitely check this one out! 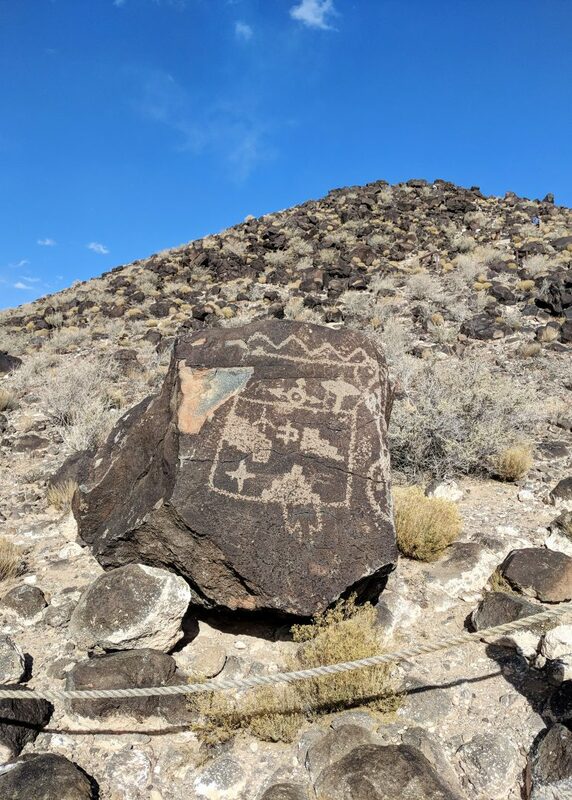 Our final New Mexico national park stop, Petroglyph National Monument, is a collection of petroglyph rock carvings from native peoples on the surface of ancient volcanic rock. Located at the west end of Albuquerque, this 7,000 acre plot of land is home to some amazing cultural and historic sites. Dogs are allowed on three of the four featured trails in the park, and most notably this park is currently transitioning to be feeless. 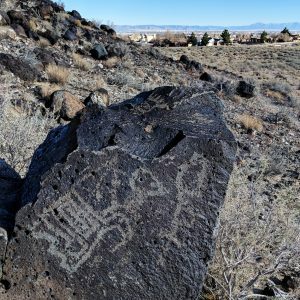 You can check out the petroglyphs for free! Most of the petroglyphs are believed to have been carved between the 1300s and 1600s by the native peoples nearby. With the help of the Rio Grande River and the Sandia Mountains, the area saw increased settlement and a boom in rich culture during this span of time. 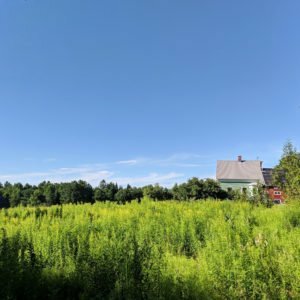 In 1990, the site which was already cherished and protected by locals, was designated a National Monument. 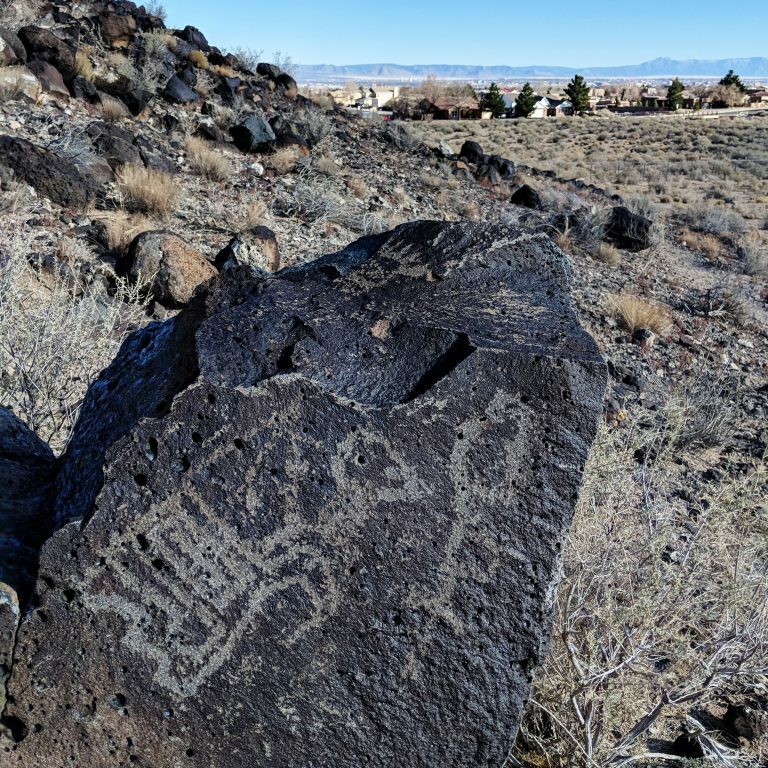 More on the petroglyphs is available on National Park Service webpage. 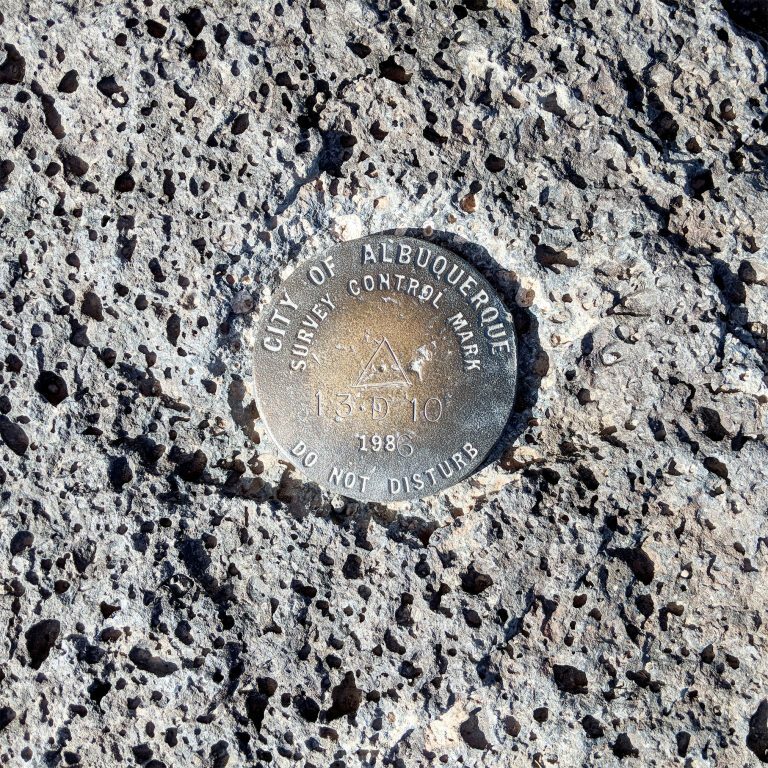 Three of the four trails in Petroglyph National Monument offer petroglyph viewing, the most popular of which is Boca Negra Canyon Trail, providing a short, easy hike with 100 petroglyphs to see and an excellent view of a Sandia-Mountain-backed Albuquerque. For a slightly more difficult and multi-hour hike, check out Piedras Marcadas Canyon Trail, which showcases over 400 petroglyphs. Because this park is going feeless and it bumps right up against Albuquerque, the area makes for an easy visit if you’re only in town for a short amount of time. 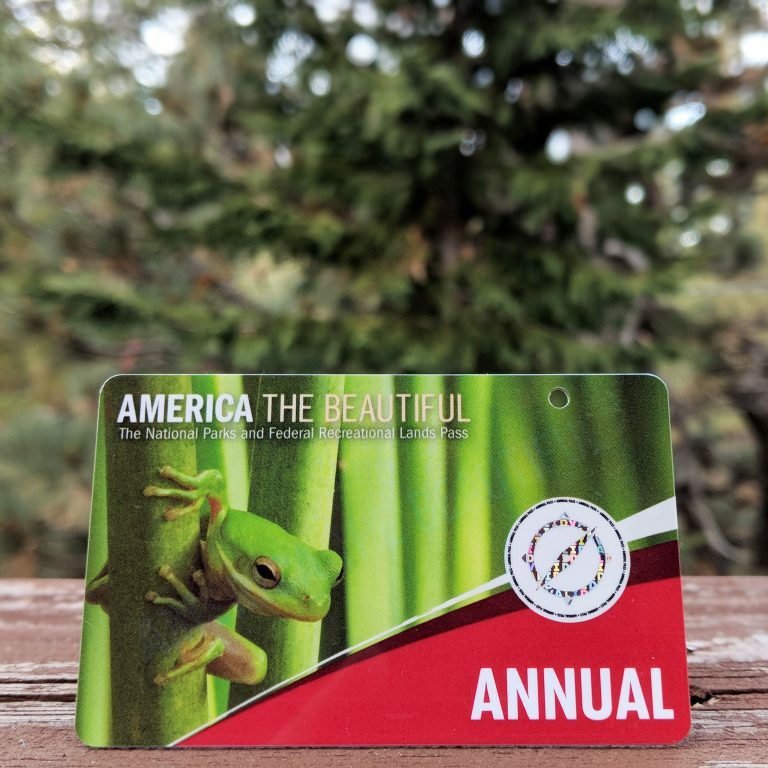 Halfway through our whirlwind “parks of New Mexico tour,” we decided to pick up a U.S. National Parks and Monuments annual pass for $80. As we continue our southwest adventure, heading into Arizona and California, it will pay for itself in no time. New Mexico is a beautiful state, and we’ve only scratched the surface on some of its enchanting parks. Carlsbad Caverns? Gila Cliff Dwellings? We’ll be back to see these and more. What are some of your favorite parks around New Mexico—national, state, or otherwise? Let us know in the comments below! Ahhhhh Erin …we should’ve met up for breakfast today. We arrived in California for a good ol’ college visit! Just love seeing the lightness in your steps! The backpack on your shoulders and not being weighted down w clutter it things so you can enjoy the beautuful sites of our nation. You’ll never guess who I ran into in the KCI airport. Your stepmom: Jill Best! Enjoy each other and this magnificent journey you are on (you already are:)!! I’m delighted that you managed to visit these marvelous places during your brief stay in NM. 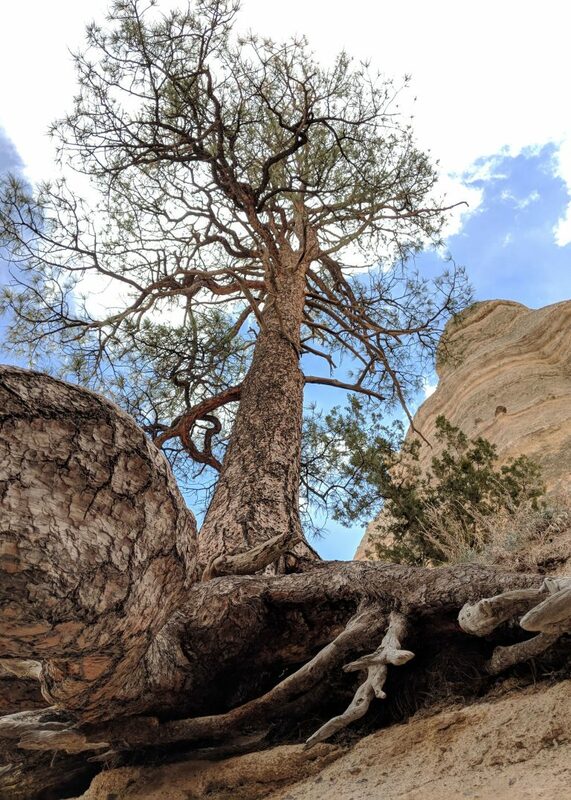 I had forgotten about Tent Rocks….there are some beautiful Apache Tears in the sand near the parking lot there. And your White Sands post reminded me of having breakfast there early one morning, watching sunrise across the dunes. Magical places! Hope your Arizona and California adventures are fun as well. Looking forward to hearing more about all points of interest! 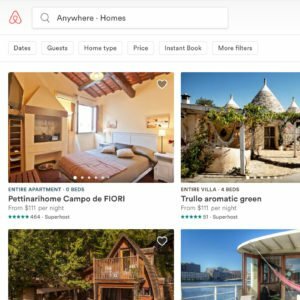 I can attest that the AirBnB in Tijeras, NM is most excellent, and that the writing about it and the nearby attractions is excellent. Only thing missing: a photo of Robbie.